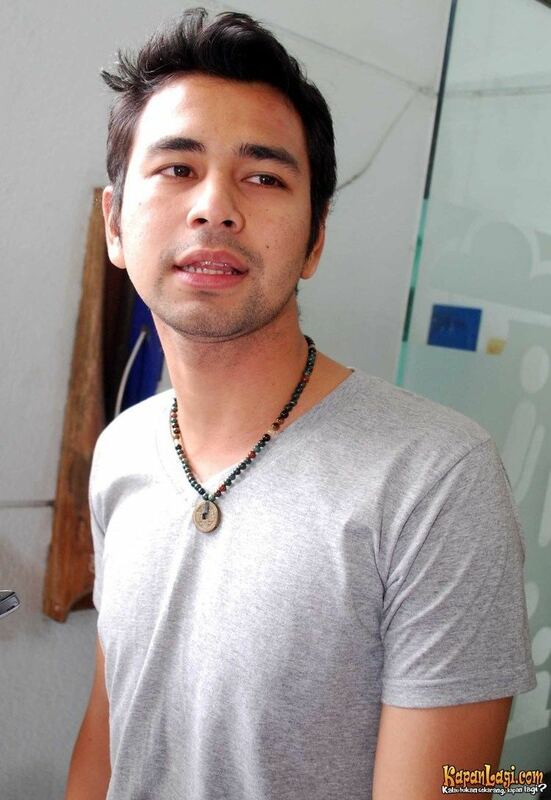 Raffi Ahmad (born 17 February 1987) is an Indonesian presenter, actor, and singer. Raffi has been cast in a number of soap operas, television movies and feature films. He is also involved in advertising, but mainly as a host. Raffi began his career as an actor. In addition as actor, he developed his career as advertisement star, presenter, and singer. 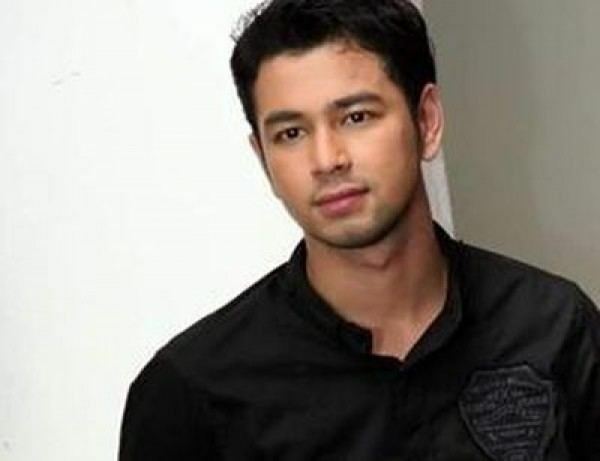 He began from supporting role in his first soap opera, Tunjuk Satu Bintang, and he became popular in Senandung Masa Puber at the time as lead role with Bunga Citra Lestari. After that, he continuously appeared in soap operas and film television and even one movie titled Love is Cinta. Raffi's acting in the movie got prais from film critics. In 2006, the top musician, Melly Goeslaw, held a casting for group vocal Bukan Bintang Biasa, also known as BBB. This project devoted for Indonesian teen opera soap. From many artist starring the opera soap was audition, Raffi was selected with Laudya Cynthia Bella, Chelsea Olivia Wijaya, Dimas Beck, and Ayushita. Their first single, "Let's Dance Together", was well received. And then, BBB starred in a film directed by Lasja Fauzia called Bukan Bintang Biasa, the single from that film, became most popular with the teenage demographic and the duet single with Ayushita, Jangan Bilang Tidak, became the next single. In 2008, Raffi's acting career more increasing when he appeared in a film produced by Rudy Soedjarwo, Liar and Asoy Geboy. And his name was more popular when he became a presenter in a music program, Dahsyat, who presented by two multi-talent artist, Luna Maya and Olga Syahputra. At the end of the year, BBB launched a new single, "Putus Nyambung", and the new single was received positive response. At the time, it dismissed that BBB only vocal group shortly. In 2009, Raffi was touted as one of the best-selling artists of music program show, Dahsyat, more increasingly himself in presenter career. In addition to the music program show Dahsyat, he starred in two new programs, Rafi Wkwkwk and OMG, who pairing with Olga Syahputra. Yet, he also still exist in world of acting when starring in some film television, the opera soap Buku Harian Baim, and the sitcom OKB also starred by himself. In addition, he also released the new single, "Johan (Jodoh Ditangan Tuhan)", who duet with Laudya Chintya Bella. On 26 February 2010, at the 2010 Dahsyatnya Awards, Raffi and Yuni Shara appeared together playing a medley of songs: "Johan (Jodoh Ditangan Tuhan") and "Kucari Jalan Terbaik". This was followed by various offers to pair the two in projects, including advertisements, the duets single "50 Tahun Lagi", and the movie Rumah Tanpa Jendela. He also directed a short film called Barbie, who starred by Yuni Shara. The 10-minute movie was awarded the "Best Movie" award at the 2011 LA Lights Indie Movie. At the end of 2011, Raffi starred in a horror-comedy film titled Pocong Kesetanan. His existence and productivity get result the best work from program television, opera soap, film television, movie, commercials, and some business was managed by him, one of the Indonesian production house, Barometer Lite, which produces one of Indonesia's leading tabloids, put his name in the fourth position from 9 for Indonesian richest artists of 2011. On 28 August 2014, Raffi starring the movie Olga & Billy Lost in Singapore with Olga Syahputra, Billy Syahputra, Chand Kelvin, and Raffi's sister, Syahnaz Sadiqah. In this movie, he only role as special appearances. On 4 May 2015, Raffi released a new album, Kamulah Takdirku, and the lead single in a new album, "Kamulah Takdirku" and "Terbaik Untukmu". This album many collaboration with his wife, Nagita Slavina and the album only sold at all KFC in Indonesia. 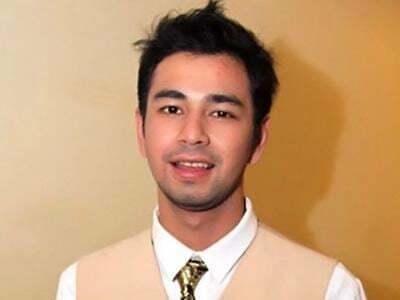 Raffi Farid Ahmad was born on 17 February 1987 in Bandung, West Java. He is the oldest child of 3 of Munawar Ahmad (alm) and Amy Qanita. His career is very successful mainly due to the fact that he can't escape from his news of multiple romances, like Laudya Cynthia Bella, Bunga Zainal, Ratna Galih, Tyas Mirasih, and Velove Vexia. He became the subject of controversy in the media about his relationship with Krisdayanti's sister, Yuni Shara, who was 14 years older than him. Their relationship was lasted in 4 years. On 17 October 2014, he married his childhood friend and actress, Nagita Slavina. Their marriage become a luxurious celebrity wedding in 2014 and was witnessed on televisions around Indonesia. His luxurious wedding was held in 3 cities: Jakarta, Bandung, and Bali. They began with Javanese traditional procession, marriage ceremony, reception in Jakarta, Private Party in Bali, until Ngunduh Mantu in Bandung broadcast live in some national television stations for a days at the time. Long before they decide to get married, they got involved in projects together. They both starred in the television movie titled "Rats and Cats Looking for Love" Frame Ritz Production when they were teens. Unique about the beginning of life together Raffi Gigi, they turned out to have the same birth date in February 17, although only a different year. Raffi one year older than his wife. Raffi was born February 17, 1987, while Gigi was born February 17, 1988, so the age of the two within one year alone. The reason it was also a major factor why their marriage was also held on the 17th as well. 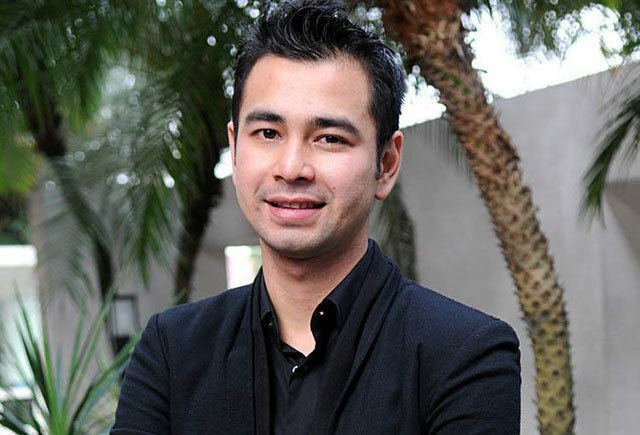 Date August 15, 2015, Raffi Ahmad wife Nagita Slavina, gave birth to a baby boy named Rafathar Malik Ahmad. The given name has special meaning for the couple commonly called RANS by their fans. "Rafathar" from the Arabic word meaning first child is elevated in rank. Then the name "Malik" was the name of his grandfather, the ruling king. While "Ahmad" is the surname of the father's side. Raffi is not only active in the entertainment world, lately he started to spread its wings into the business world. The business such as food, clothing line, bodyspray, masks, furniture, and others. The business empire built raffi seriously, the business proved to be well planned and well received by the community. Those businesses include rice tongue (RaDen) in collaboration with Denny Buana, Bakmi RN (Raja Nikmat), Mama Ritz Food, RA jeans that have been found in 110 stores throughout Indonesia in cooperation with the Ramayana Depstore, Showroom Motor, BodySpray RaffiNagita, MaskerRans, Rans Card in collaboration with Bank Sinarmas, and RANS LIVING. Raffi even in the near future will launch the new business that the playground will be named "Rafathar PlayPark".